Omaha Democratic Socialists of America , is a Nebraska affiliate of Democratic Socialists of America. 2017 Omaha Democratic Socialists of America contact - Tom Tilden . We're hitting the streets again to spread the word about single payer healthcare. Meet up at Aromas, and then we'll go door to door to talk to people in the Benson area. 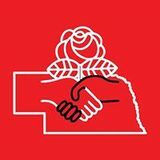 Omaha DSA Organizing Mixer, Public · Hosted by Omaha Democratic Socialists of America, Saturday, December 10, 2016 at 6 PM - 8 PM CST 2038 N 64th Street, Omaha NE 68104. This page was last modified on 26 November 2017, at 06:11.